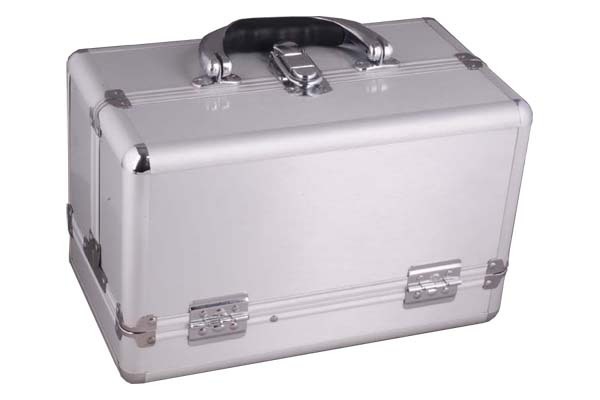 This elegant make up case is made of smooth aluminium sheet and big aluminum trim . Opening in the middle for easy access into the case . 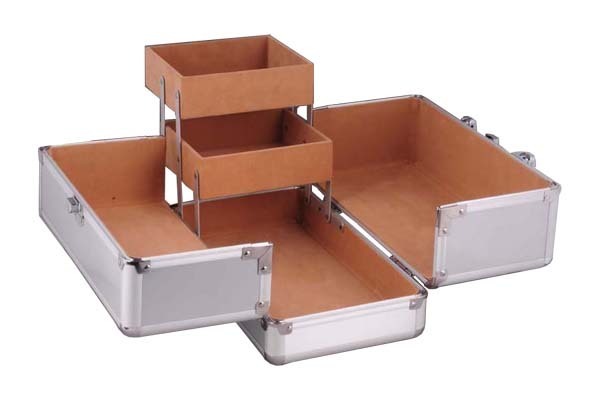 Two extensible trays in one side and a base with plenty of space for better organization for your cosmetic .A comfortable handle for carrying.